“There is no reason why Ireland cannot be for foods what Switzerland is for watches,” according to Colin Gordon, Chief Executive of Glanbia Consumer Foods – Ireland’s largest consumer food company. 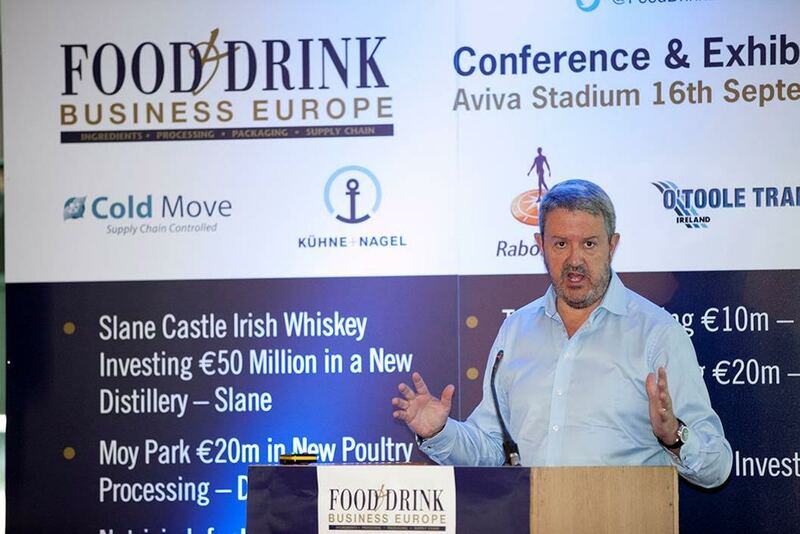 Colin Gordon was one of the keynote speakers at the second annual Food & Drink Business Conference & Exhibition held recently at the Aviva Stadium in Dublin. 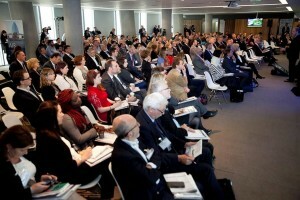 The theme of this year’s conference and exhibition was ‘How to Scale a Food & Drink Business’. 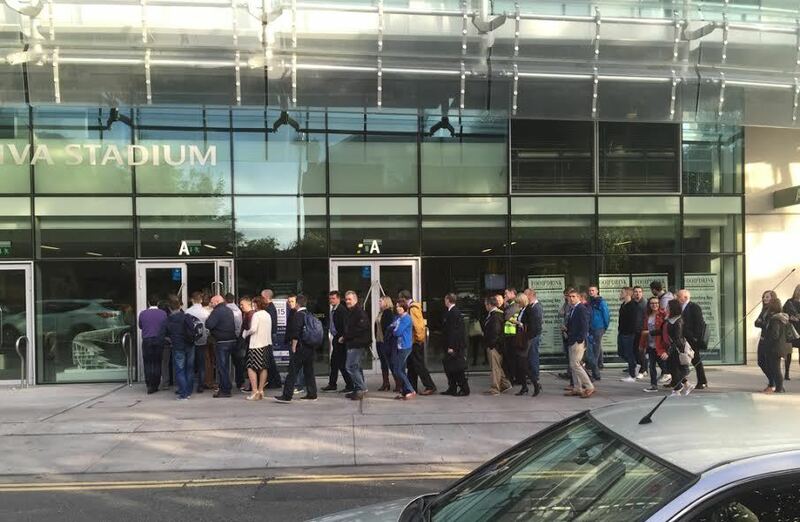 Over 2,000 people registered to attend the Conference & Exhibition, which was in essence three events in one – keynote addresses on the Main Stage and two workshops – ‘Craft Beer & Whiskey Opportunities’ and a dedicated ‘Food Innovation & Safety’ workshop. Food Wise 2025, the Irish Government’s new ten year development strategy for the agri-food sector, targets an 85% increase in the value of exports to €19 billion by 2025. The growth is expected to deliver an additional 23,000 jobs based on the projected expansions in dairy, beef and seafood, as well as a doubling of consumer food and drinks exports. The plan identifies a surge in global food demand driven by emerging middle class populations across Africa and Asia as significant opportunities for Ireland. In beverages the plan envisages doubling whiskey output by 2025 and an increase in the number of micro breweries from 21 to 100. To achieve these targets indigenous companies must be able to scale up to increase sales to local retailers but more importantly to develop sustainable export markets. 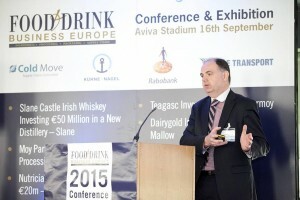 Aidan Cotter (pictured above), Chief Executive of Bord Bia (Irish Food Board) since July 2004, was the opening keynote speaker at the event. 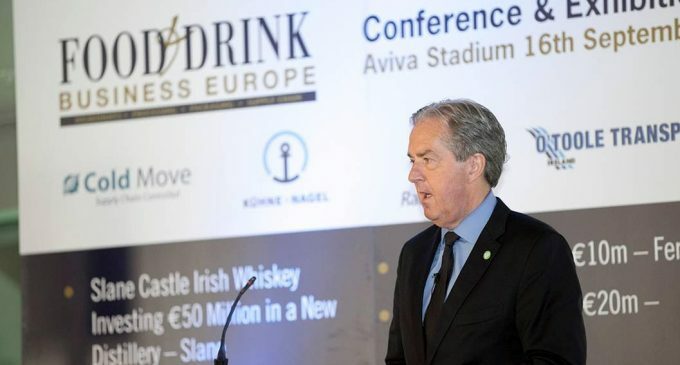 He pointed out that the Irish food and drink industry, which increased exports by 4% last year to €10.45 billion, has proved resilient in the face of the worst global recession in 80 years. However, significant risks remain for an industry that competes in 175 markets around the world. For example, price volatility is “the single biggest challenge facing the Irish dairy industry and the global dairy industry,” he said. About 40% of Irish food and drink exports are still destined for the UK and so are influenced by the strength of Sterling. Emerging markets are driving demand and China is now the second largest destination for Irish dairy products and pork, and the Irish food and drink industry’s fifth largest market overall. Sustainable development has become a priority for the major global food and drink producers as reflected in the Dow Jones Sustainability Indices. Ireland enjoys a ‘green’ image internationally, which has benefited its food and drink exports. 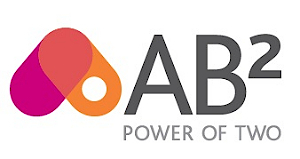 Bord Bia launched a comprehensive national sustainability development programme in June 2012. Entitled ‘Origin Green’, the programme is designed to help Ireland become a world leader in sustainably produced food with a farm to fork approach. Origin Green is allowing the Irish food industry to differentiate its products in international markets and capitalise on the country’s ‘green’ credentials. 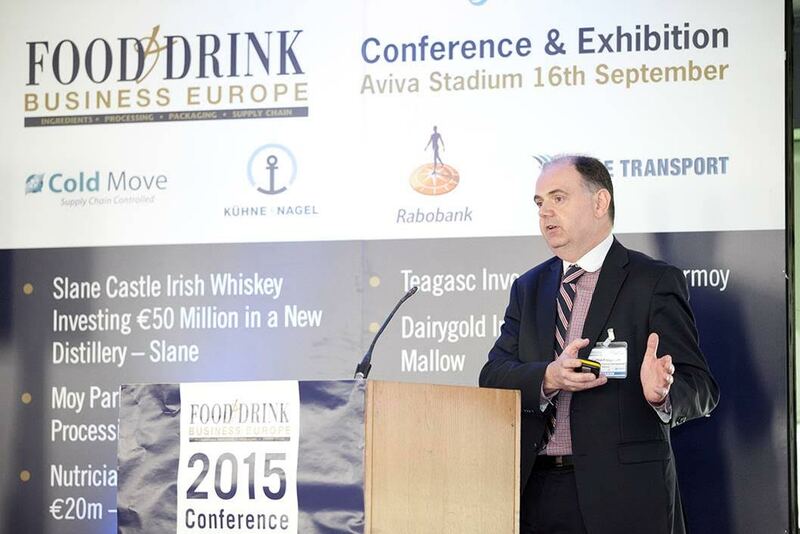 Colin Gordon, Chief Executive of Glanbia Consumer Foods. “Scale is becoming increasingly important,” stressed Colin Gordon before identifying a number of systemic issues to developing scale within the Irish food and drink sector. However, he also pointed out that food is a low margin and high investment sector and access to finance is a major barrier in scaling up for small Irish food and drink companies. The Glanbia Consumer Foods chief suggested that there is an over-emphasis on export performance and not enough attention being paid to the domestic market. Indeed, if the export contribution of the large international soft drinks concentrate manufacturers, the alcoholic drinks sector and the major beef and dairy processors is excluded, then a diverse group of smaller companies remain. The 500 consumer food manufacturing units currently operating in Ireland are not realising major scale benefits with 75% of them employing less than 50 people. He was also critical of the obsession with artisanal food enterprises, which historically have not proved to be a solution to the scale problem. Ireland has a number of major advantages and has the potential to be recognised for food production in the same way as Switzerland is renowned globally for the quality of its watches. “We are not ambitious enough about how to get small players to the scale play,” he said. 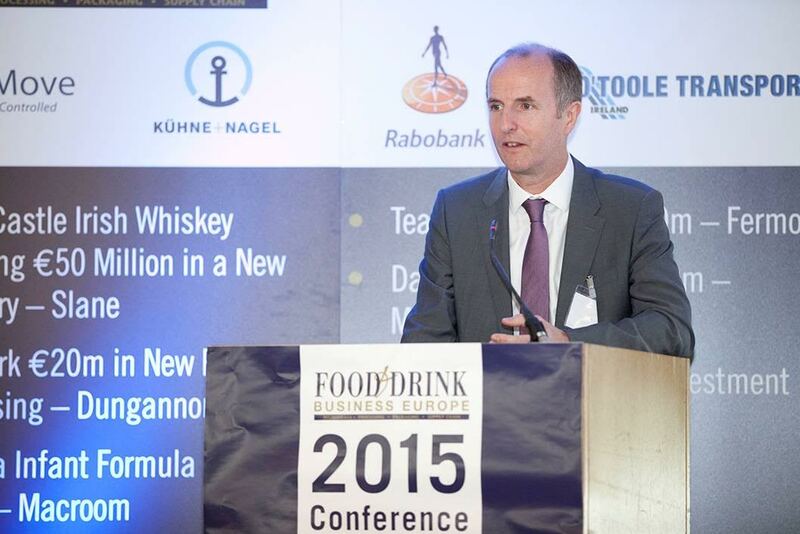 Paul Kelly, Director of the Food and Drink Industry Ireland (FDII) business sector within IBEC. Paul Kelly, Director of the Food and Drink Industry Ireland (FDII) business sector within IBEC (Irish Business and Employers Confederation) employed another interesting simile in stressing the crucial role of the food sector in Ireland’s economy. “The food industry is as important to Ireland as car manufacturing is to Germany,” he remarked. The Government’s Food Wise 2025 strategy has projected the creation of 23,000 additional jobs by 2015. However, although the Government has stressed that “the agri-food industry is strategically important to Ireland – we need to see this take place in practice,” Paul Kelly said. “Access to finance is a major barrier to growth and scale within the agri-food sector,” he added. 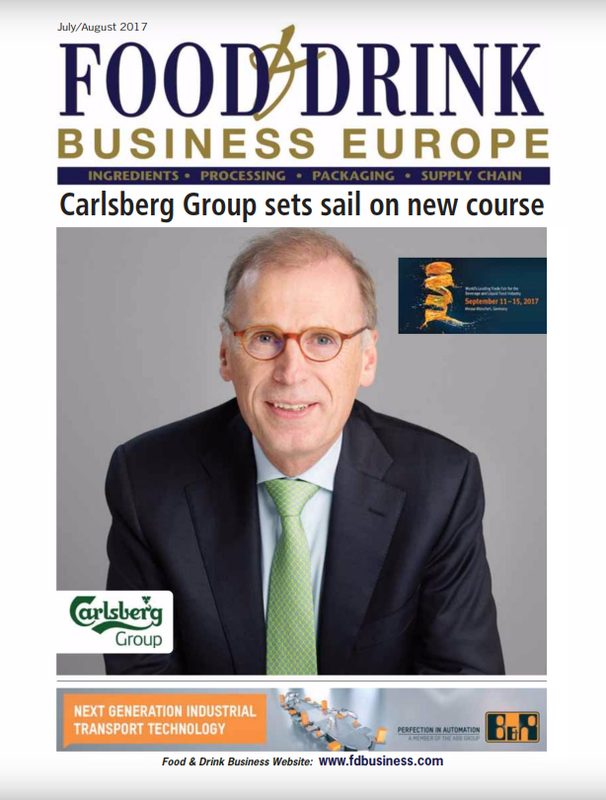 “Food is regarded as a long-term, capital intensive industry but the sector has huge potential.” He cited the findings of a recent case study based on 26 prepared consumer food companies, which found an over-reliance on short-term bank lending and zero appetite for risk among lenders. Cathal Fitzgerald – Head of Food & Agriculture Investments at ISIF. In addition to improving access to finance funding, the Government also needs to examine the taxation system and its impact on business, according to Paul Kelly. Cathal Fitzgerald – Head of Food & Agriculture Investments at ISIF (the Ireland Strategic Investment Fund), which was established in December 2014, explained the role of the organisation. Formerly the National Pensions Reserve Fund, ISIF marks a new approach to investment by the State. “Our mandate is to invest on a commercial basis in order to support economic activity and employment in Ireland,” he said. The ISIF is valued at €7 billion, and is available to invest in Ireland as suitable investment opportunities arise and are developed. People queuing for the Food & Drink Business Conference & Exhibition held recently at the Aviva Stadium in Dublin. The dual objective of the ISIF – investment return and economic impact – represents a new approach to investing and will require all investments to generate both investment returns and economic impact in Ireland. The fund has the flexibility to make investments across the capital structure of companies and projects, both debt and equity, and across a range of investment types and sectors. For example, within the food industry, ISIF was recently involved in the investment by Carlyle Cardinal Ireland in Carroll Cuisine, the Tullamore-based producer of branded cooked ham and chilled ready meals, backing a management buy-out of the company from Aryzta, the global speciality bakery group. Carlyle Cardinal Ireland is a €292 million Irish private equity fund focused on growth capital and buyout investment opportunities across Ireland, whose investors include the ISIF and Enterprise Ireland.